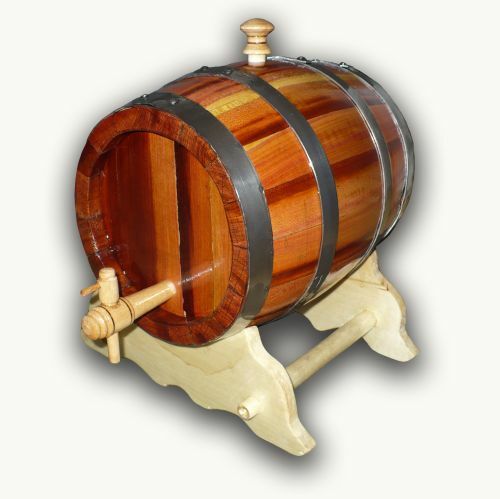 The recommended sizes are 3-50 litres in cherry wood. Made for aging any fruit spiritsa or whiskey, cogniac. Every single barrel is traditionally made, inside is toasted, outside is lacquered, and every keg has 4 hoops. 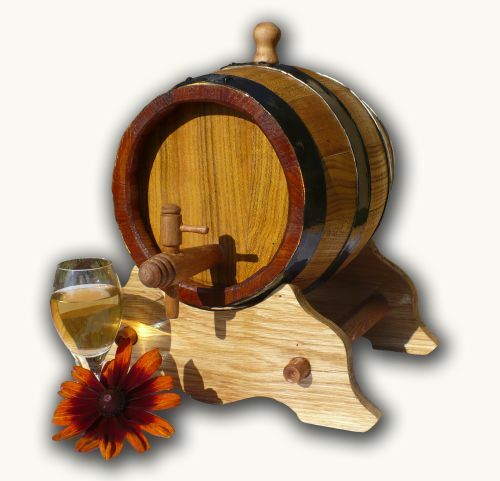 The stand is made in other kind of wood, but the spigot and bung is made in oak. Usually we need 2-4 week for crafting the barrel, after your order. Important to note: The cherry wood barrels are not to longevous like oak or acacia barrel, but they give something great, something special to the aged spirits which worth it your patience. Most of us associate a cherry tree with red and delicious cherries. 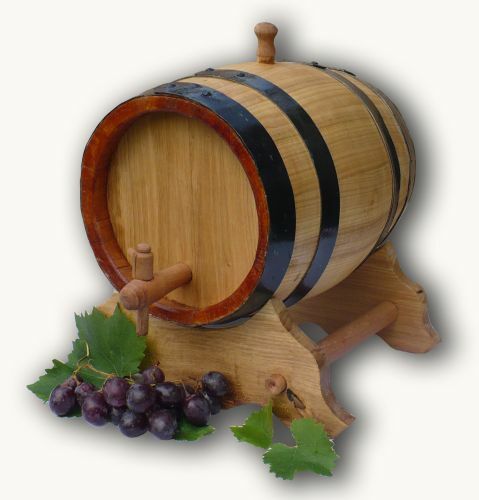 Who would think that the cherry wood could be a suitable material for making barrels? 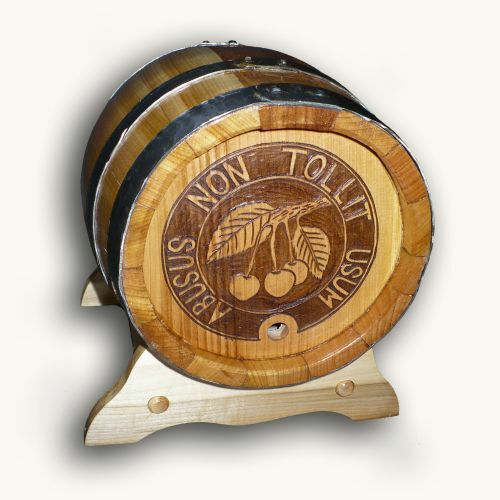 Indeed barrels are produced also of cherry wood, of wild cherry wood to be more precise. 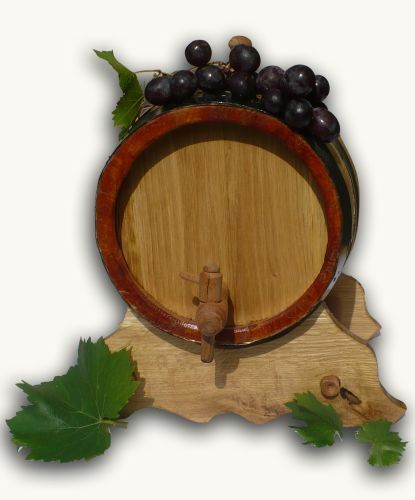 These barrels affect the drink stored inside them in the same way as mulberry barrels. The colour of the drink changes, it becomes yellowish, and its taste also loses from its strength. 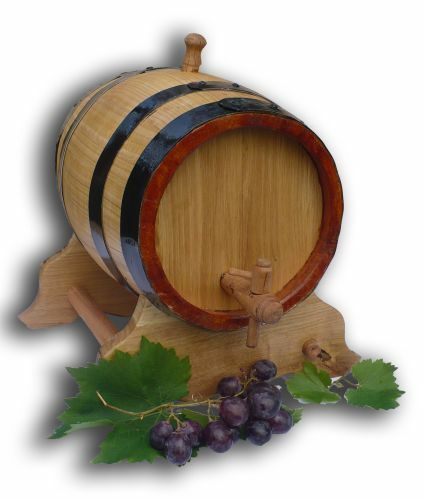 The cherry wood isn’t available in large quantities, therefore a cherry wood barrel, similarly to a mulberry barrel, may be considered a rarity. 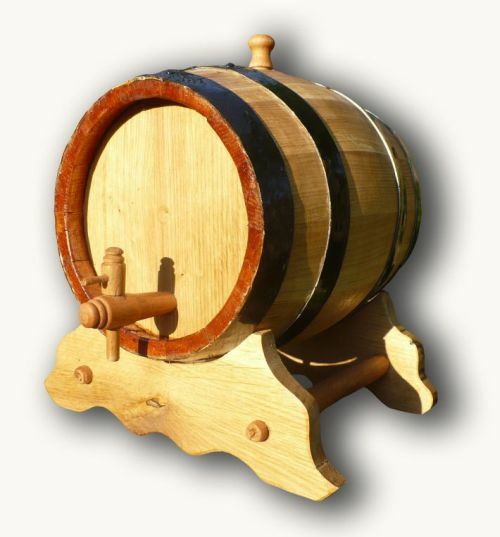 We recommend our small barrels for mellowing, serving and storing brandy as well as for decorating your home. 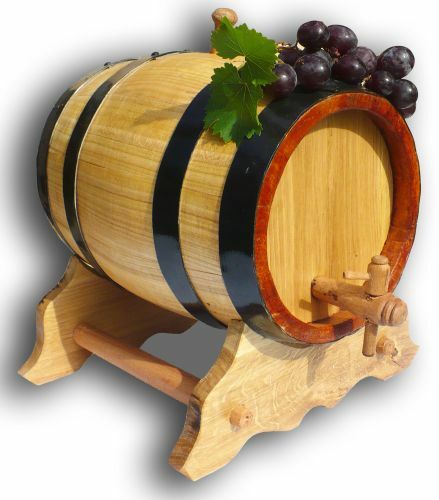 These barrels are suitable for mellowing and decoration purposes, they offer our customers the best due to their uniqueness. The cooper’s primary task is to act in the right moment and to conjure up the end-product, the little mellowing barrel. The cooper uses the elements of nature for the production of the barrels, so that when an experienced man savors the mellowed brandy, he may feel that a quality drink is born.